For many, the bicycle is more than just a transportation mode—it is a tool for building community power. This Sunday, Hollywood Theatre will screen a film about an LA-based womxn’s collective who use the bicycle as an organizing tool. 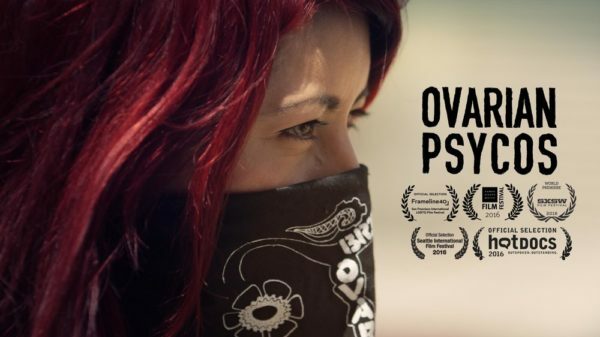 The film “Ovarian Psycos” rides along with the Ovas, exploring the impact of the group’s activism, born of feminist ideals, Indigenous understanding and an urban/hood mentality, on neighborhood women and communities as they confront injustice, racism, and violence, and take back their streets one ride at a time. You can learn more about the Ovas on their website. The proceeds of this showing of “Ovarian Psycos” will benefit the Community Cycling Center’s programs, such as the organization’s support of Andando en Bicicletas en Cully (ABC). The major focus of ABC’s work is to create community by hosting bike rides, advocating for bicycle storage and safe routes to school, and providing basic bicycle maintenance and training to friends and neighbors. Tickets are available at the door and online via Hollywood Theatre’s website.